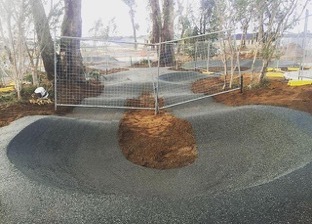 Our team was selected to construct a pump track in a new housing development South of Perth as part of a bigger plan that included a skatepark, playground, landscaping, etc. Originally, the track was constructed then sprayed with soil binding agent. 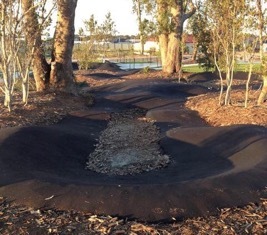 TrailScapes later decided that the Wellard pump track was the perfect track to be covered in Asphalt as a showcase piece as well as assuring maximum longevity and minimal maintenance for the client.